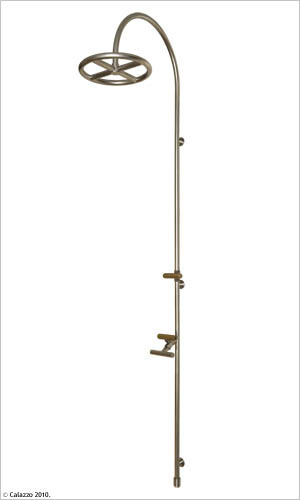 The OTTO series outdoor shower is instantly recognizable by its unique custom crafted circular showerhead and integrated foot wash. Both showerheads are operated separately with independent controls which give you total control over the intensity. 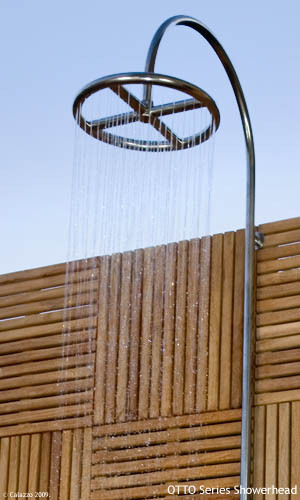 Measuring at near 14 inches in diameter, the OTTO showerhead will cover you in a gentle rain shower like coverage while the powerful foot wash will easily clean away sand after a stroll on the beach. An adapter is included for connection with a standard garden hose. All 316 (Marine Grade) Stainless Steel construction for outdoor durability. 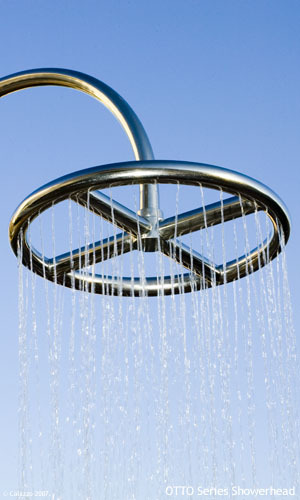 - Custom OTTO showerhead and integrated foot wash with independent controls.